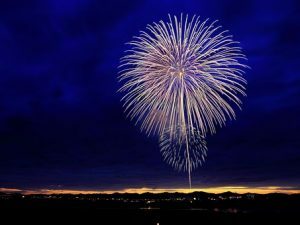 Hours before my children and I sat beneath the hot July 4th sky and watched fireworks boom overhead, I read to them from Our United States of America, Catholic Social Studies. Specifically, I read aloud a short biography on St. John Neumann, the fourth bishop of Philadelphia. Providentially, we detected an unexpected connection between our history lesson and Independence Day. Namely, we discovered that Bishop Neumann understood the real price of freedom. According to our history book, a young John Neumann came from Prague, Bohemia, in 1836, with the intention of following in the missionary shoes of St. Paul. Newly ordained, Fr. Neumann came to America, a country less than 100 years into its independence. He spent his early years ministering to German immigrants and Native Americans in New York and Maryland. 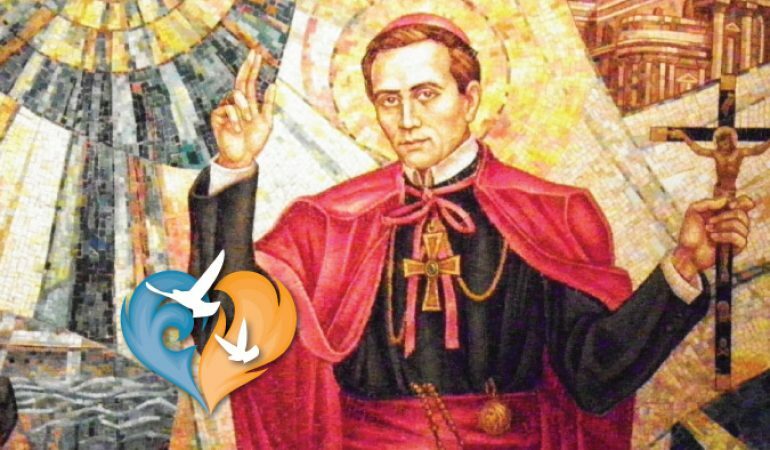 From 1842-1849, he worked tirelessly with the Redemptorists, a congregation of missionary priests and brothers. Father also supported a group of black nuns in their mission to teach, in spite of the fact that slavery was still legal in Maryland. Then, in 1852, at 41 years of age, Pope Pius IX named him as Bishop of Philadelphia. The diocese at that time covered an extensive area, including parts of Pennsylvania, New Jersey and Delaware. Today, that area is divided into five dioceses. Our textbook told the story about the poverty-stricken German, Irish and Italian Catholics within the Philadelphia diocese, who planned to throw a parade in honor of their new bishop. However, Bishop Neumann wouldn’t hear of it. He requested that the parade be canceled and the money used to build a Catholic school. Another tale recalled how Bishop Neumann wore the same pair of boots for most of his priestly life. Though they were worn thin in the years since he emigrated from Bohemia, he refused to purchase new shoes. Rather, he believed that the meager amount of funds his poor diocese collected should only be used to care for his people, not himself. Though Bishop Neumann died unexpectedly of a heart attack in 1860, only 8 years after his appointment, his legacy looms large. During his brief time as bishop, he lived out his missionary vocation. He reached his people by traveling throughout the diocese to celebrate Masses and hear confessions. Already able to speak German, he learned Italian and Irish, too, so that language wouldn’t be a barrier between his flock and himself. In spite of opposition from anti-Catholic groups like the Know-Nothings, Bishop Neumann succeeded in creating a Catholic school system in America with more than 200 schools. He also built hospitals, orphanages, convents, and 89 churches. Our founding fathers understood the price of freedom. When they penned The Declaration of Independence, they knew it was just the beginning for America. Reading about St. John Neumann, on the occasion of Independence Day, my children and I were reminded that true freedom and independence are not found in personal gains and self-interest. True freedom is pouring oneself out for the sake of others, of loving others as Christ loves. 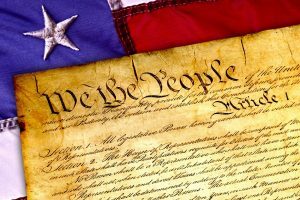 America’s founders and saints knew that our country’s real strength lies in our ability to recognize the dignity of every individual and our willingness to selflessly defend that dignity. What a great blessing it is to be both an American and a Catholic! If you’re planning a trip near Philadelphia, Pennsylvania, consider making a stop at the Shrine of St. John Neumann. Though the saint is not incorrupt, his remains are on display for veneration. While you’re there, why not take a moment to offer a prayer for America and the many people who come to her seeking true freedom.